As a platform known for family vacation photos and recipe videos, it’s no surprise that Facebook is often seen as the domain of consumer facing brands. However, its massive user base and powerful targeting capabilities make it an unbeatable tool for every marketer’s toolkit, whether the goal is reaching men in their early 30s or finding all the small business owners in one particular zip code. Pair that with a notable 73% of people reporting that they use Facebook for professional purposes, and it becomes clear that the value for B2B brands is there (source). Many B2B brands leverage Facebook to better position themselves as the go-to resource in their area of expertise. Sharing relevant facts or think pieces about your business is an easy way to capture the attention of industry insiders looking to stay ahead of the curve. Thought leadership is also an accessible entry point for many brands because a variety of creative types work for this type of message. Some use simple links to articles or blogs, while others employ more visually arresting formats such as infographics and video. Mobileye, a pioneer in autonomous driving technology, is an example of a brand that chose video to share a vivid picture of life in the future. People tend to assume that B2B content needs to be long, complex and dry. While whitepapers and infographics do have their place, marketers on Facebook have permission to be more fun and present their value propositions in more exciting and relatable ways. 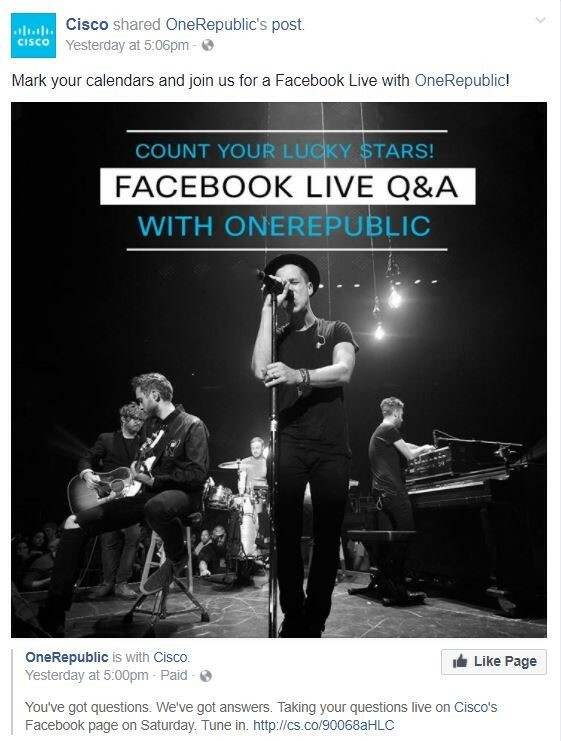 For example, Cisco, as the official technology and Wi-Fi partner of the band OneRepublic, was able to showcase how they keep the band connected by hosting a Live Q&A with the artists on tour. This content was entertaining at the same time it aptly demonstrated Cisco’s reliability. Facebook is a people-powered channel, which makes it a natural fit for stories about the philosophies and people behind a company. Content that showcases corporate responsibility initiatives or lifts the curtain on employee activities can go a long way in connecting a brand with its intended audience on an emotional level. Global consulting giant Accenture was effectively able to do both through a powerful video that highlighted its employees as well as its commitment to diversity. Engaging content, while great on its own, can work even harder for a brand when paired with the right ad unit and targeting on Facebook. In cases where these elements are working together seamlessly, the platform becomes an incredibly powerful tool for driving web traffic and capturing leads. Operating system Ubuntu (a distribution system of Linux) provides a good example. 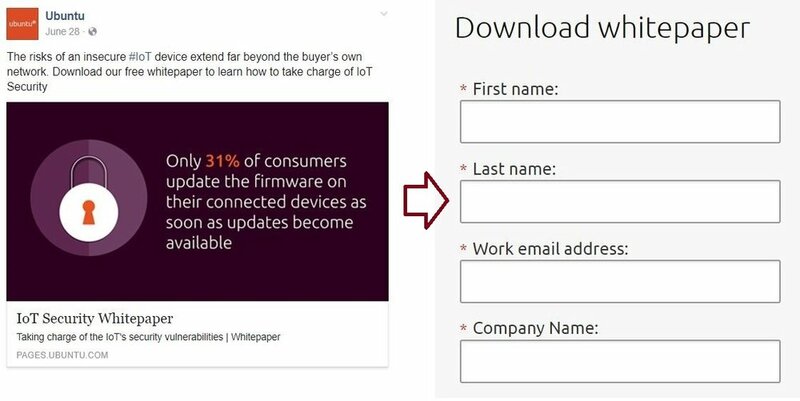 The brand paired a visually appealing graphic teaser with Facebook’s link post format to drive whitepaper downloads and build its email list. 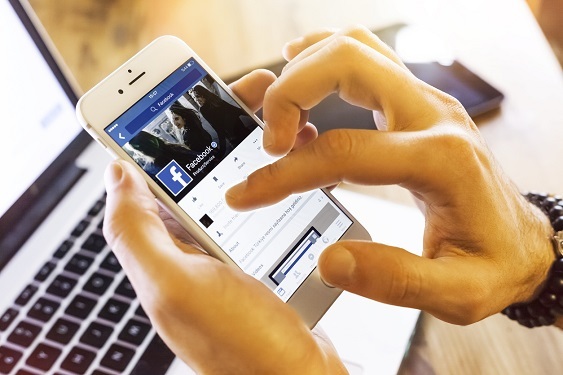 B2B brands aren’t just speaking to prospective customers on Facebook. Compelling content that sells the organization as a great place to work can be an effective way of luring in top talent as well. The platform allows targeting based on things like education, job title, and company size, making it easier than ever to zero in on the best candidates. Tech giant Oracle does this by highlighting interesting employees in their #lifeatOracle series. The documentary-style visual testimonials are compelling as standalone content – but also provide a potential pool of viewers to retarget with a harder-hitting “apply now” message.